Trusted Medical Concierge Services | American Hormones Inc. Compounding Pharmacy | American Hormones Inc.
American Hormones Inc. offers a range of medical concierge services and treatments from our national compounding pharmacy. With an onsite diagnostic laboratory and customized pharmaceutical preparations, we make it easier for doctors to treat a full range of medical issues, ensuring the best results for every patient. Count on us to fill prescriptions for bio-identical hormone treatment, custom pharmaceutical preparations, as well as testing from our affiliate company, EndoLab. 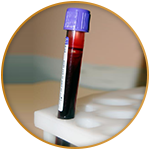 EndoLab offers immunologic and metabolic blood testing, ensuring that all of our compounded medications are ideally suited for that particular patient. 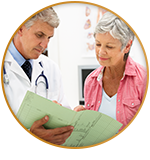 Finding excellent alternatives and solutions for physicians and their patients is our mission. 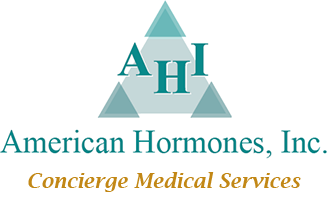 As a national compounding pharmacy, American Hormones has the versatility capable of meeting a diverse spectrum of needs for both physicians and patients. With over 15 years of experience, our professional pharmacy staff is proud to take the extra step that is needed to help improve health conditions and reduce costs. AHI was born from a desire to break the hold that big pharmaceutical companies have on the American health care system and to deliver higher quality, custom medications to patients. 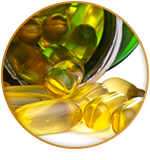 Our goal is to deliver tailored treatments that work for the people they are prescribed to. 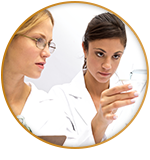 Our specialty is bio-identical hormone products. 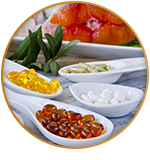 As a compounding pharmacy, we're able to tailor the doses and treatments perfectly to meet your medical needs. Your doctor simply needs to tell us what you need and we'll create the perfect compound for your medical needs. We even have access to a diagnostic laboratory, and we offer professional consultation services, so we can help your doctor make the right decisions and deliver the most effective treatments for you. 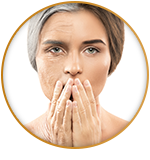 Backed by more than 15 years of industry experience, we've built a flawless reputation and deliver the highest quality medications, hormones, and supplements with every order. Refills are a breeze, too. Just call or email us at rx@americanhormones.com with your RX numbers or with any questions. We are happy to help.